Proprioception, our ‘sixth sense’, underlies our innate ability to localise our body parts in space and to know the forces, angles and movements at our joints (Proske & Gandevia, 2012). This ‘sense’ allows us to interact with our environment. For example, reaching for a cup of water requires knowledge of the exact spatial location of your own hand coupled with the metric properties of the hand (e.g. its length and weight). To ‘know something like the back of your hand’ implies a high level of knowledge of the subject. This presumes that we know accurately, the location of our hand in space along with its precise dimensions. The results of an experiment by Longo & Haggard (2010) suggest that this view may need to be reconsidered. Here, participants were asked to point, with a stick held in their right hand, to various landmarks on their hidden left hand. This allowed them to construct a perceived ‘map’ of each individual’s left hand. They called this the ‘body model.’ Remarkably, despite the knowledge of our own body, there were systematic distortions of the hand. It was perceived as wider and the fingers shorter than reality, with each finger becoming progressively shorter from the thumb to the little finger. This distortion of the hand has since been confirmed under multiple different conditions. However, it is still unclear whether or not these distortions can be entirely attributed to somatosensory processing (that is, use of signals sent to the brain from peripheral receptors signalling position sense). Could it be that these distortions are common amongst any object resembling the shape of a human hand, such as rake? Could the distortions merely reflect inaccuracies in remembering specific distances between landmarks? Saulton and colleagues (2016) investigated both of these potential sources of bias in a recent paper. In their first experiment, they compared perceived size and shape of participants’ right hand to that of a rubber hand and a rake (two hand-shaped objects). Despite obtaining similar distortions in length and width for all three items, the magnitude was significantly larger for the hand. Next, participants indicated on a vertical and/or horizontal line the perceived distance between specific landmarks for the same three items. Results were compared to those from the first experiment. While no significant differences were observed for the rubber hand and rake, the distortions obtained for the real hand were significantly smaller compared to those in the first experiment. In the final experiment, participants expressed the distance between two specific landmarks on their hidden right hand via either ‘feeling’ or ‘memory.’ This was conducted to determine whether the distortions resulted from somatosensory processing or biases in visual memory, respectively. Distortions were significantly larger in the former, alluding to the influence of somatosensation in obtaining these findings. In summary, while visually similar objects and memory may induce qualitatively the same distortions between the hand and non-body items, these factors cannot fully account for the larger magnitude distortions observed for the human hand. Overall, this reiterates that some aspect of somatosensory processing contributes to these distorted internal hand maps. While we cannot completely rule out other factors, such as conceptual knowledge, these results have implications for our understanding of proprioception. If we can validate the localisation task as an acceptable measure of the internal body model underlying position sense, a logical step would be to implement it as a test in the assessment of patients with suspected deficits in proprioception. Saulton A, Longo MR, Wong, HY, Bülthoff HH, de la Rosa, S. (2016). The role of visual similarity and memory in body model distortions. Acta Psychologica, 164, 103–111. doi: 10.1016/j.actpsy.2015.12.013. Longo MR. (2014). The effects of immediate vision on implicit hand maps. Exp Brain Res, 232, 1241–1247. doi: 10.1007/s00221-014-3840-1. Longo MR. (2015). Posture modulates implicit hand maps. Conscious Cogn, 36, 96–102. doi: 10.1016/j.concog.2015.06.009. Longo MR, Haggard P. (2010). An implicit body representation underlying human position sense. Proc Natl Acad Sci USA, 107, 11727–11732. doi: 10.1073/pnas.1003483107. Longo MR, Haggard P. (2012). 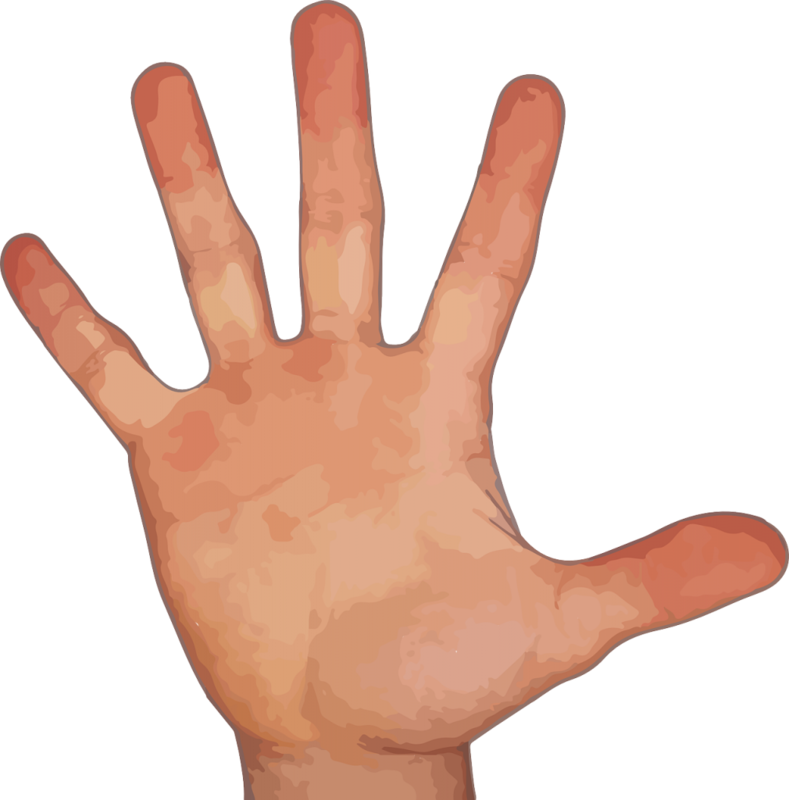 A 2.5–D representation of the human hand. J Exp Psychol, 38, 9–13. doi: 10.1037/a0025428. Longo MR, Haggard P. (2012). Implicit body representations and the conscious body image. Acta Psychol, 141, 164–168. doi: 10.1016/j.actpsy.2012.07.015. Longo MR, Mancini F, Haggard P (2015). Implicit body representations and tactile spatial remapping. Acta Psychol, 160, 77–87. doi: 10.1016/j.actpsy.2015.07.002. Proske U, Gandevia SC (2012). The proprioceptive senses: their roles in signaling body shape, body position and movement, and muscle force. Physiol Rev, 92, 1651-1697. doi: 10.1152/physrev.00048.2011. Saulton A, Dodds TJ, Bülthoff, HH, de la Rosa S. (2015). Objects exhibit body model like shape distortions. Exp Brain Res, 233, 1471–1479. doi: 10.1007/s00221-015-4221-0. ← Does exercise intensity affect the susceptibility of resistance trained males to central fatigue?